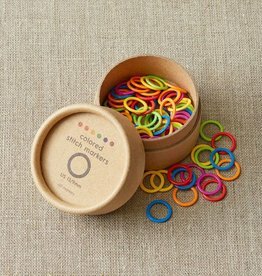 From practical stitch markers from Clover to whimsical wooden stitch markers from Katrinkles, we offer a variety of markers to suit every knitters needs. 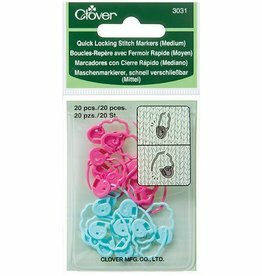 Take a second look at the Clover Quick Locking Stitch Markers because they are in the shape of sheep! 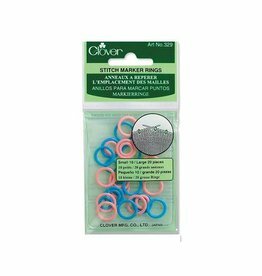 his package contains 20 medium stitch markers in 2 colors. 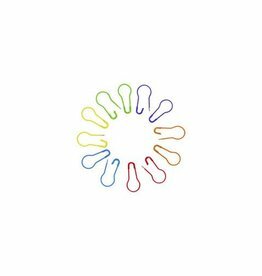 The Clover Soft Stitch Ring Markers are made out of a flexible material that will bend and flex with your knitting. 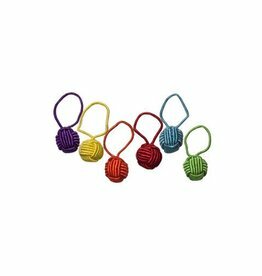 These jumbo stitch markers are perfect for projects that require needle sizes US 11-17. This set includes 20 flexible ring stitch markers (10 small and 10 large). 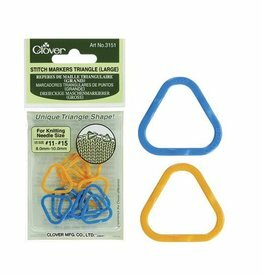 The XS Triangle Stitch Markers from Clover are the perfect size for all your sock knitting needs. 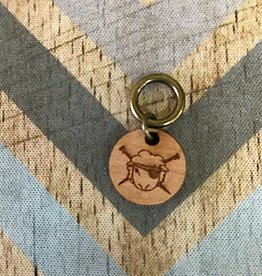 These tiny stitch markers fit needle sizes US 0-4. 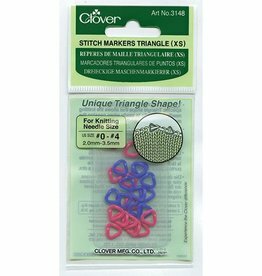 The Clover Small Triangle Stitch Markers fit needle sizes US 5-8. 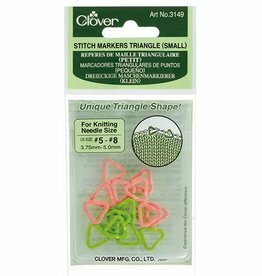 The unique triangle shape of these markers makes it easy to slip from one needle to the other. 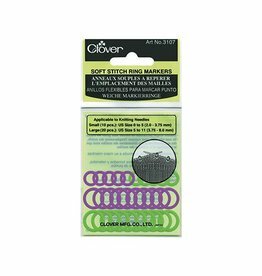 The unique triangular shape of these Clover stitch markers makes slipping the marker a breeze! 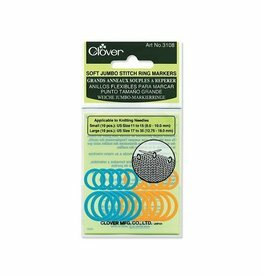 The medium sized markers fit US 9 to US 10.5 knitting needles. 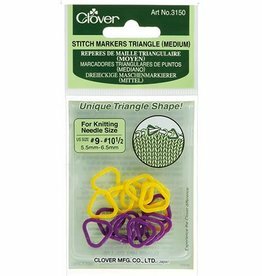 This set of 12 large triangle stitch markers from Clover will fit on US size 11-15 needles and stand out in your knitting.